Treat yourself to a style revamp and update your look with a choice of two options. Opt for a wardrobe detox, where I help you get your closet in order and create fresh outfits from your existing clothes, or choose a shopping trip where I’ll help you find new items that suit your body, personality and lifestyle. Enjoy a wardrobe makeover and clearly identify your personal style with this fun, relaxing fashion experience. 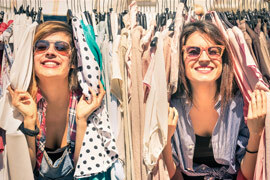 First, I’ll get to know your style and help you revamp your existing clothes with a wardrobe detox. Once we’ve worked out what’s already in your closet (and have cleared out pieces you no longer need), we’ll head to the shops. I’ll greet you with your favourite drink, before helping you find new items that express your personality and style, while factoring in your existing wardrobe and lifestyle. Like a perfectly-cut jacket that just feels right, this package is tailored to you. Because it’s customised to your needs, it gives you the flexibility to create a personalised experience. If you’ve got a special event or want to share your styling experience with a friend, get in touch and we can talk specifics. 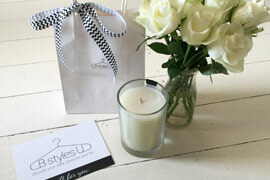 Ideal for Mother’s Day, birthdays, Christmas or anniversary presents, these vouchers for a wardrobe detox or personal shopping session are a fun, relaxing gift.